The Georgia Supreme Court ruled last week upholding the weaker of two campus carry laws signed by Gov. Nathan Deal in 2014. The high court affirmed an earlier ruling to dismiss a complaint filed by the gun rights group GeorgiaCarry.org against the state Code Revision Commission. The issue started when Deal signed HB 862 into law on April 22, which allowed guns to be carried on school property. On April 23 he approved HB 60, Georgia’s famed “guns everywhere” bill that, while vastly expanding areas where guns could be carried, also included language restricting guns to school parking lots. GeorgiaCarry.org sued in February 2015 to return to HB 862’s language. Both the Governor and the commission asked for a dismissal, which was granted, and GeorgiaCarry.org then took the issue to the Supreme Court. GeorgiaCarry.org Executive Director Jerry Henry disagrees with the decision and told Guns.com the conflict between the two laws was reconcilable and state law has similar conflicts already on the books. Gov. Deal’s gun-friendly legacy may be in jeopardy as he vetoed HB 859 earlier this year, a bill that would have allowed permitted gun owners to carry at public college and universities in Georgia. Deal, however, is in his second term and will not face reelection. 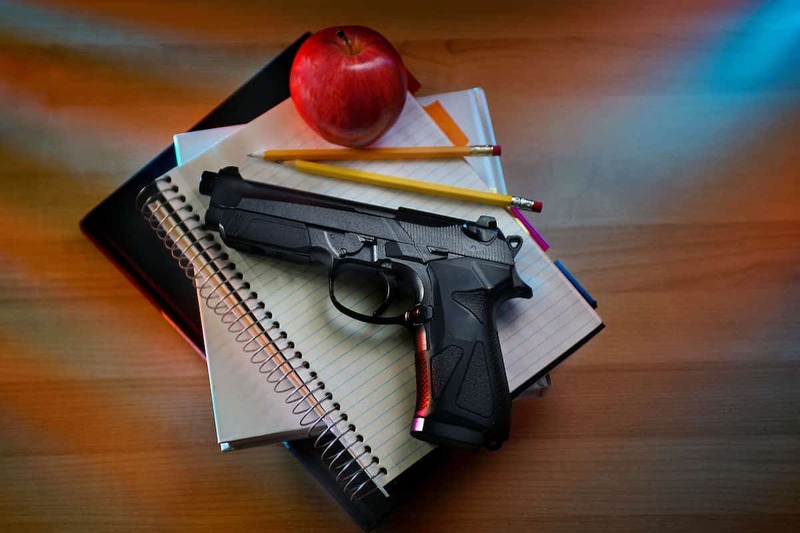 Do you think it is reasonable to allow guns on school campuses? Let us know! Mike Doran is a writer and political junkie. He is a lifelong hunter and outdoor enthusiast who braves the south Georgia heat every day. You can follow Mike on Twitter at twitter.com/wmdoran.